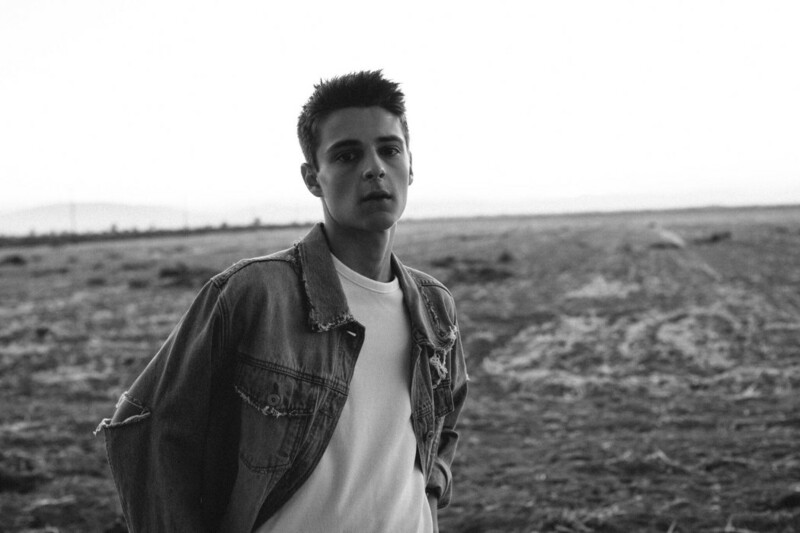 Actor Corey Fogelmanis breaks down his “PrankMe” character and the real-life consequences of thirst for social media stardom with Teenplicity. Best known for his role as Farkle Minkus on Disney Channel’s “Girl Meets World”, Corey Fogelmanis emerges onto the post-Disney scene with a show that is dark, thrilling, and thought-provoking. Audiences get the pleasure of watching Corey come into his own right as a talented actor, taking the helm and steering viewers into a head-on collision of Jasper’s life. Captivating and frustrating all at once, fans will want Jasper to come to his senses and stop this madness all the while wondering just how far he would actually go. He kind of blindly goes along with whatever they say and they kind of blindly go along with what he does so it’s this really toxic relationship between fan and ‘celebrity’ that we explore there. “It’s dark but it’s a fun one,” he says of the show’s take on prank culture and social media. Continuing to discuss the differences between himself and Jasper, Corey reflects on his character’s manipulative nature and disregard for taking blame for his actions – something that Jasper’s subscribers constantly fuel. This drastic codependency that leads to Jasper’s future actions is first seen following the suicide attempt by his fan Carla, who he included in a prank video and later humiliated. Due to her actions, he makes a video saying he might quit pranks and asks for the opinions of his fans. It is their overwhelming enthusiasm and support that he returns to making pranks, getting darker and more daring with each one as he watches the view counts rise. He cares but not because he really valued the friendship, he valued what he got out of it. The inspiration for that came from real life situations. In media, there have been multiple instances, across different sectors of entertainment and social platforms, in which people will do just about anything for recognition and devote fans will refuse to acknowledge any wrongdoing. These two traits of Jasper continue to play out in multiple ways throughout the series. The lack of concern for his actions leads to blaming others around him. Whether it is his friends, family, cops, the world, Jasper can never be seen taking the blame onto his shoulders, no matter how drastic that consequence has been. Also, his manipulation doesn’t just stop at the people he uses to complete his videos. It passes along to the viewers, as he tries to showcase himself being sorrowful over what his actions led to, garnering sympathy from those who watch him. As a viewer of the series, one has to wonder if they are being manipulated as well, unsure if some of Jasper’s emotions are genuine or not. It was super freeing to be able to play somebody who doesn’t really have any boundaries. He says that so much of what his character expresses, Jasper doesn’t really mean, but he thinks it goes both ways. Jasper does go through a lot throughout season one as audiences watch his downward spiral. What had once started as channel featuring videos where he pranked his sister Sienna, Jasper broadened his horizons from pranking fans in extreme situations to tricking his friends into situations that ultimately killed them, under the guise of proving a point. There are no boundaries for Jasper’s pranks, his desire for revenge, and his thirst for more and more fame. As his channel gets taken down and the FBI looks for him due to his actions, Jasper seems to thrive. The live news feeds covering him, other YouTubers giving their opinions, and even his own family pleading for him to stop only fuels him further. The last prank of the season finds Jasper’s family as the targets once more. He stands crazed before them with a gun, forcing them into a ‘family game night’ as they all are in shock and hesitant to set him off if they don’t comply. Audiences are left wondering how far gone Jasper is to put his family in this situation or what he might be capable of doing to his own blood. The fan reactions have been interesting, according to Corey. Although he hasn’t heard of any fan theories for the show – besides the one Teenplicity found online and shared with him which wondered if maybe Sienna could have been a co-conspirator on everything – he particularly thinks of the reactions from those who followed him from “Girl Meets World” to this. That was a whole other challenge but it was really cool. Another challenge that came with portraying Jasper was the fact he carried that DSLR around constantly, feeling the need to document his everyday life in addition to his pranks. “It was really interesting,” says Corey of having to play a character that way. “When we were on set, Hazel who is actually a YouTuber herself – she has a YouTube channel that she does a bunch of film-related stuff on – she was super helpful in kind of being comfortable getting on camera and holding the camera. [She] helped me develop a style for Jasper.” The style, which becomes slightly more crazed and unsteady as Jasper unravels throughout the season, is nearly a character of its own as the camera quite literally feels attached to Jasper. It was so interesting adjusting to being that big every day. What was new for Corey was the intensity that came with portraying Jasper. On these specific, more intense days, he found it to be a bit more difficult to break character following cut. Despite the care that went into getting in and out of character for Jasper each day on set, the most challenging aspect of filming “PrankMe” was keeping up the stamina throughout the day. “[Jasper is] all over the place and before we started shooting, we broke down each episode and different moments in the script according to the energy levels, where he was at each time so when we went to shoot it, I’d know specifically where he was in his arc because we wanted to make sure his arc stayed intact,” reveals the actor. He recalls keeping track of where Jasper was in each scene, energy-wise, to be a challenge. “Also throughout each day, I think just keeping it up – it was just really tiring,” he continues about the stamina it took to hype up Jasper’s big personality and actions. With all the conversations that “PrankMe” has started up, it’s no doubt that it will influence at least some of its users on their social media usage in a better light. For Corey, he’s still thinking about how he hopes to influence his fans through his social media. Watch all eight episodes of “PrankMe” on Fullscreen now through January! 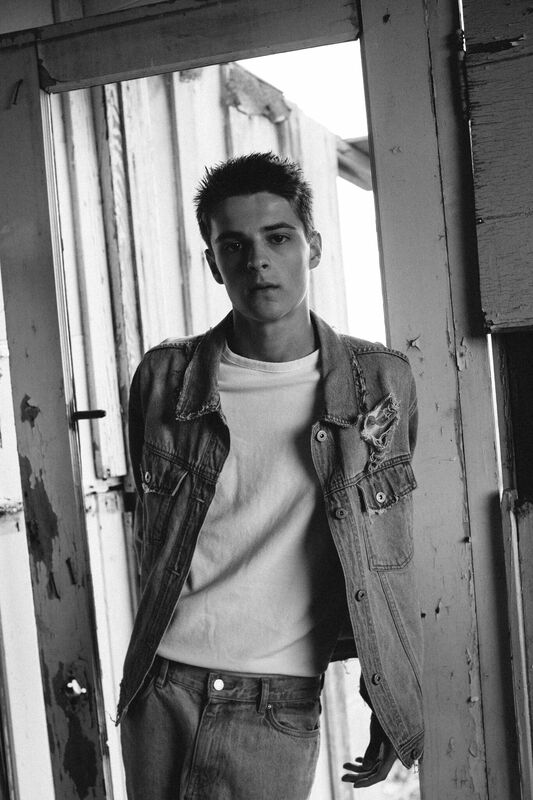 For all things Corey Fogelmanis, be sure to follow him on Twitter, Instagram, and Facebook!